We’d love your help. Let us know what’s wrong with this preview of Escape from Dolphin Street by David Sharp. 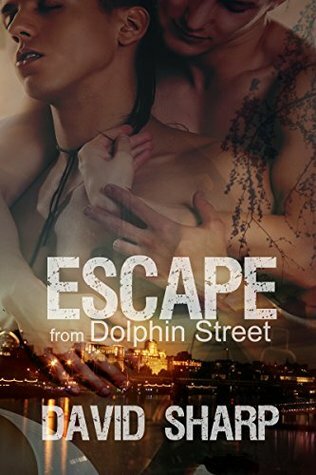 To ask other readers questions about Escape from Dolphin Street, please sign up. David Sharp is a writer of Punk Fiction. A dreamer, he grew up identifying with the outsider from his teenage punk years on. His stories are filled with characters on the fringe of society, from troubled youth and thrill seekers to hardened gunslingers and mysterious loners. Each one is on a journey to find themselves and pursue their desires across exciting and sometimes dangerous landscapes. DS David Sharp is a writer of Punk Fiction. A dreamer, he grew up identifying with the outsider from his teenage punk years on. His stories are filled with characters on the fringe of society, from troubled youth and thrill seekers to hardened gunslingers and mysterious loners. Each one is on a journey to find themselves and pursue their desires across exciting and sometimes dangerous landscapes. DS is his new imprint with the fourth title being a 10th anniversary edition of Where the Road Roams (March 1st, 2019), an experimental novella about gay street life; preceded by The Trouble with Furries (December 21st, 2017), a novel of the 1990's underground club scene; Escape from Dolphin Street (September 27th, 2017), a horror novel of a dark world where punks go; Wild Boys - A Peculiar Western Novel (July 26th, 2017), a tale of the Old West in a time of high adventure, outlaws, and the way of the gun, traveled by alternative anti-heroes; and Anarchy - Strange Tales of Outsiders (January 13th, 2017), a compendium of stories following queer, punk, outsiders in worlds of chaos crossing genres of queer fiction, horror, and dark fantasy. His previously published works include: Under the Moonbow (2015), an asylum set dark fantasy short story that ran in MCB Quarterly Vol. 3; Escape from Dolphin Street (2015), a turbulent horror tale of street punks and runaways; The Trouble with Furries (2013), a dark novel of an anthropomorphic subculture set in the gay club scene of the 1990’s; The Wild Boys Trilogy (2012), three rough and tumble gay westerns; The Dark Lands (2010), an anthology of horror stories; and Where the Road Roams (2009), an experimental novella about gay street life.